Carl Milles is widely known in his native country for his prolific public commissions, and for his residency at the Cranbrook Academy of Art in the United States. However, Milles arrived accidentally at sculpture when he briefly stopped in Paris en route to Chile. 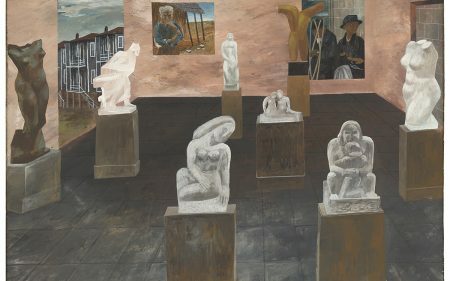 In Paris, he met Auguste Rodin and developed an interest in sculpture, ultimately deciding to remain in the city to study the medium. 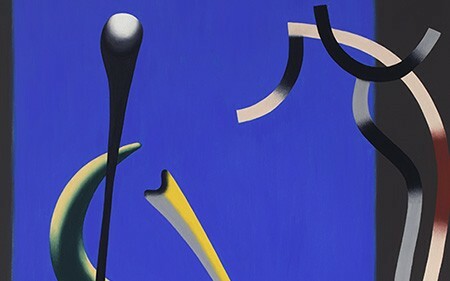 Milles was a traditional artist, and his figurative works often follow a narrative. 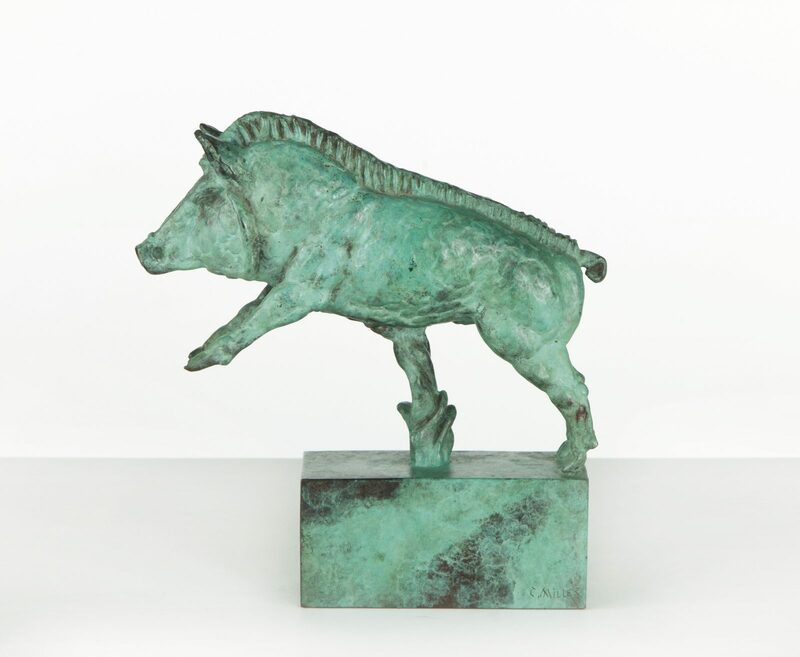 The Wild Boar sculpture was a design that was first modeled by Milles in 1927 for a marble and bronze Diana Fountain he created for the Swedish Match Company in Stockholm. He reused a similar sculptural scheme in 1928 for the Michigan Square Building (now located at the University of Illinois at Urbana-Champaign). 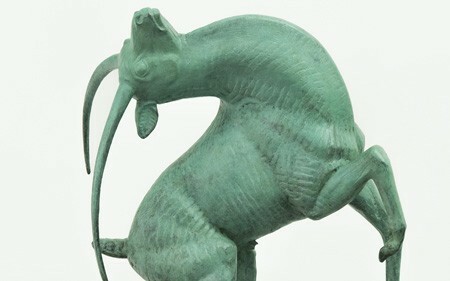 The present work is a small-scale version of the boars seen on the two fountains, as well as other examples sculpted for the campus of the Cranbrook Academy of Art.